Quality – Made in Germany! 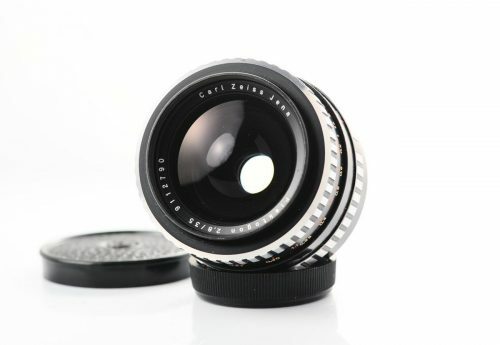 German made wide angle lens in m42 mount – can also be used on Fujica, Pentax, Practica, Zenit SLRs. These days successfully used for photo & video on DSLRs via adaptors(m42 to Nikon/Canon etc), mirrorless systems: Sony NEX, Olympus Pen, Panasonic G, Canon EOS M, Nikon 1, FujiFilm X-mount etc. Lens has nearly no signs of use! Few internal dust particles are possible, but will not affect image quality. Mechanics are excellent, focus is smooth and uniform. Aperture works well in both A/M modes, blades are free from oil. Comes with both lens caps + case.